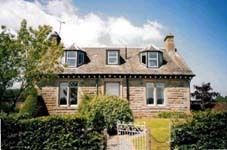 Find the best selection of Stirling self catering accommodation located in the city or in the countryside around stirling. 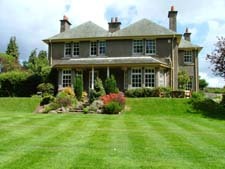 farmhouses, castles, villas, cottages in stirling, lodges, apartments. Convenience and comfort in a properties that offer a high standard of contemporary accommodation or more traditional, family friendly accomodation. Looking for flats to let or apartments in Stirling, The stirling accomodation guide will help you find the perfect stirling self catering accommodation for a short break or a family holiday. In a quiet setting on a private estate, near Dollar, Clackmannanshire. This delightful converted steading enjoys a very convenient location. Within 45 minutes drive of Edinburgh, Perth, Stirling and Glasgow. New for 2014, this fabulous holiday house has a large open plan lounge with dining area and kitchen area, a utility/boot room, 4 bedrooms and 4 bathrooms, and breathtaking views over the Stirling Carse. Tigh Mor is a large single story house newly built for 2014 on the footprint of an old farm steading. 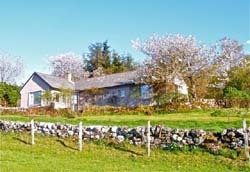 Fifteen minutes west of Stirling, with panoramic mountain views, Garrique Cottage sleeps six. Peacefully situated, but with easy access to local shops and pubs, it is surrounded by wonderful walks and wildlife and has use of a hard tennis court. Two luxurious self-catering holiday properties, converted from a listed 1820s stable block and set in 5 acres of private gardens and woodlands. 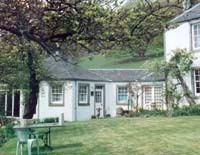 The cottages are set in 5 acres of private gardens. 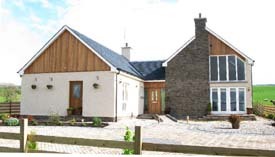 Set in 50 acres of farmland near to the village of Kippen, Arnbeg Cottage is a self catering luxury farm house conveniently located 10 miles from Stirling. With spacious accommodation, dining area and two comfortable lounge areas. These self-catering lodges can accommodate 6 people. 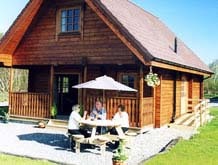 Brand new luxury self-catering “loghouses” overlooking Ben Ledi, in the heart of the Trossachs. The lodges are fully heated and double glazed. Shielbrae house is located in the hills 4 miles to the west of Stirling. 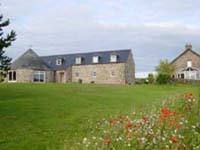 The large comfortable house sleeps 8-20 people, has a large contained garden and lots of parking. Set within a quiet residential area in the Victorian Spa town of Bridge of Allan, a short distance from Stirling Town Centre and the University of Stirling. 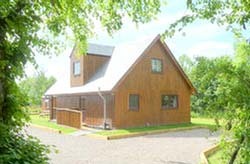 Coneyhill Lodge offers spacious, contemporary accommodation. 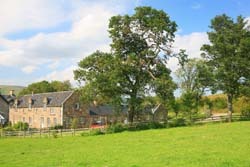 Four holiday cottages on the site of the former Boll farm steading. With clear views of Stirling Castle and the Wallace Monument. 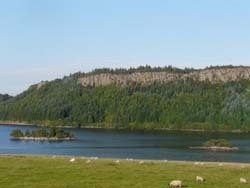 Stirling is 15 minutes away by car. 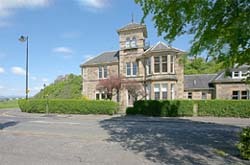 Luxurious and stylish Stirling City centre apartment available for short term lets. Close to Stirling Railway and Bus Stations and 5 minutes walk from the centre of town. Stunning views of the Wallace Monument from Living Room and Master Bedroom. In the village of Blairlogie, an outstanding Conservation Area, near to Stirling and the Wallace Monument. Fully self-contained with double bedroom, kitchen and bathroom. A secluded courtyard development of five luxury 1 and 2 bedroom self-catering cottages in stirling, with incredible views across North Third Reservoir in a stunning rural, yet central, Stirlingshire location. 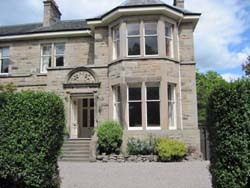 A five minute drive from Stirling town centre, with almost an acre of gardens, this large Victorian, self catering home, comfortably sleeps 10-12 people in its 6 bedrooms. Old Bankend Farmhouse near Stirling has been recently restored and offers 5 double bedrooms and 2 reception rooms, with fantastic views of Stirling Castle and the surrounding hills. in the village of Deanston near Stirling. Situated on a highly desirable leafy street just over half a mile from Stirling city centre. This self-catering apartment is located on the garden floor of a beautiful Victorian villa. Two large double bedrooms. Comfortably accommodates 4/5 people. 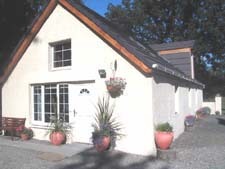 A romantic hideaway, The Garden Studio for Two is set in the Orchard within the old walled garden at Mackeanston House with views of surrounding farmland and the Gargunnock Hills, close to the Loch Lomond and the Trossachs National Park. The Foresters is a generously proportioned luxury four bedroomed stirling apartment that sleeps 10, in a unique village setting. The village of Cambusbarron overlooks the historic City of Stirling and is less than two miles away. Whatever your plans, be you a family or two families, a group of friends sight seeing or on a sporting trip or on a short term business contract you will find the Foresters perfect. XV Albert Place STB 4 star rated. Forming part of an elegant town house, perfectly located within the historic Kings Park area. This completely refurbished, one bedroom stirling apartment has spacious garden room with double sofa bed and south facing patio. Great for sightseeing, shopping, sport or business and even better for a relaxing holiday. This stunning conversion of a 200 year old barn comprises of two separate dwellings, the 2 bedroomed Barn Cottage, and 4 bedroomed Roundhouse. Awarded 5 stars by Visitscotland. Near Auchterarder, Perthshire. 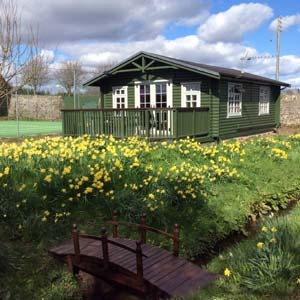 These spacious well-appointed lodges enjoy a fabulous countryside location, with open views of Stirling Castle, Wallace Monument and the Ochil hills yet only a short drive away from Stirling’s city centre. If you are the owner of a Guest House, Bed and Breakfast, Holiday Let or a Long Term Rental Property, contact instirling.com now to make sure you are included in this Stirling guide. When you contact accommodation listed in this guide, please mention that you found them through instirling.com. >> Guest Houses in Stirling. 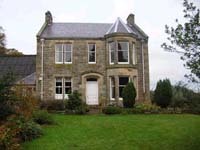 >> Bed and Breakfast accommodation in Stirling. 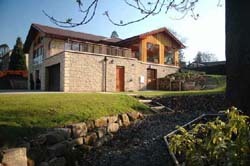 >> Hotel accommodation in Stirling.